The works are the product of the Portland Lullaby Project, a collaboration between moms, the Portland Symphony Orchestra, local musicians and health care providers. Portland Lullaby Project Teaser from Molly Haley on Vimeo. Danielle Tardy was getting a routine check-up when she got some jarring news – she was pregnant. She hadn’t planned to have another child. 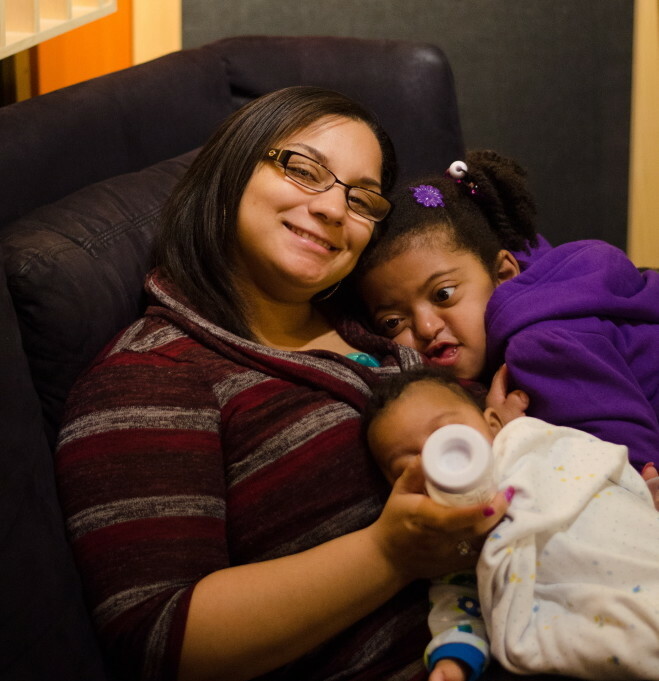 She had two sons already, including an 11-year-old with severe autism. 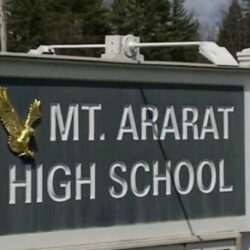 As she struggled to deal with her emotions, Tardy was able to gain a more hopeful perspective and express her love for her children in a way most of us never will. HOW MUCH: Free, but people are asked to reserve seats. Tardy wrote her lullaby as part of the Portland Lullaby Project, part of a national effort launched by the Carnegie Hall Musical Connections program in New York City. The project was organized locally by the symphony last fall, with help from local musicians and health care providers. The national lullaby project is in its third year, and the Portland Symphony Orchestra is one of three groups to participate, along with symphonies in Chicago and Seattle. The lullabies will be performed Thursday by local musicians and singers, including symphony members, as part of a free Mother’s Day concert at Port City Music Hall on Congress Street. The project’s goal is to help new and expectant mothers bond with their babies and deal with the stresses of pregnancy, and their daily lives, in a creative way. In writing the lyrics to “Third Time’s a Charm,” Tardy was able to put into words her hopes for baby Nikolis, due July 26, and what he will mean to the family. Tardy will be on stage for her lullaby, singing harmony on the chorus, with Portland-area singer-songwriter Sara Hallie Richardson on lead vocals. Richardson sang lead on most of the lullaby recordings, and will sing them at the concert. One lullaby will be sung by the mother who wrote it, Sarah McLaughlin. The concert will feature a total of thirteen songs, including lullabies written for the project as well as other popular songs or songs written by local musicians. The symphony’s “Lullaby String Quartet” will be featured on eight songs. 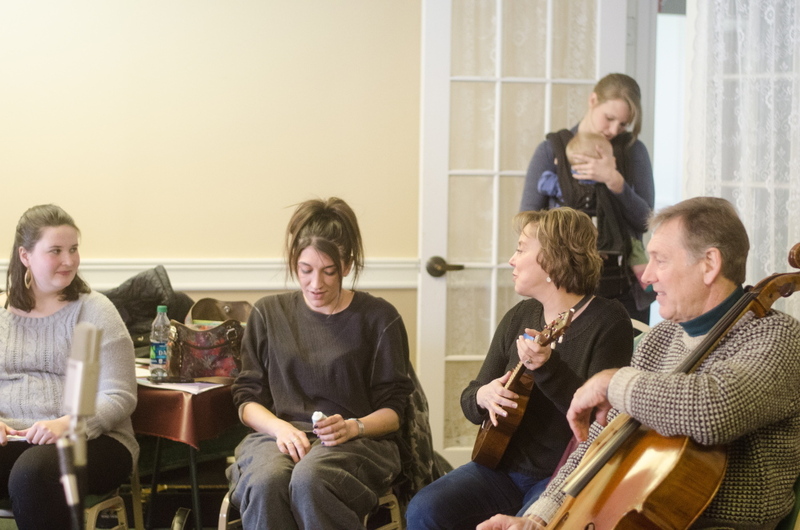 The lullabies were written by the moms with help from musicians, songwriters and Carnegie Hall Musical Connections representatives during a gathering at the Woodfords Congregational Church in Portland in February. Then the songs were arranged by musicians, before being recorded at The Halo recording studio in Windham in April. Most feature a string quartet from the symphony. Recordings of the lullabies will be given to the parents, and to some of the people who donated to the Kickstarter campaign used to raise $15,000 for the project. The lullabies may be available at some point as well at the Carnegie Hall website, said Carolyn Nishon, general manager of the Portland Symphony Orchestra. Nishon said the lullaby project is a good fit for the PSO. One of the mothers involved, Sherina Howard, used the project to write an upbeat lullaby for her 4-year-old daughter, Akeira. Howard got involved with the project because she was expecting a baby, Jeremiah, who was born in February. But one of the lullabies she wrote as part of the project, “My Love My Life,” is dedicated to Akeira, who has a genetic disorder known as Apert syndrome and was born with a malformed skull and a variety of other physical issues. Howard, 28, wanted to write a song to remind her daughter that she can live a healthy and happy life despite her obstacles. And that her mom and brother will be there to help her at every step.